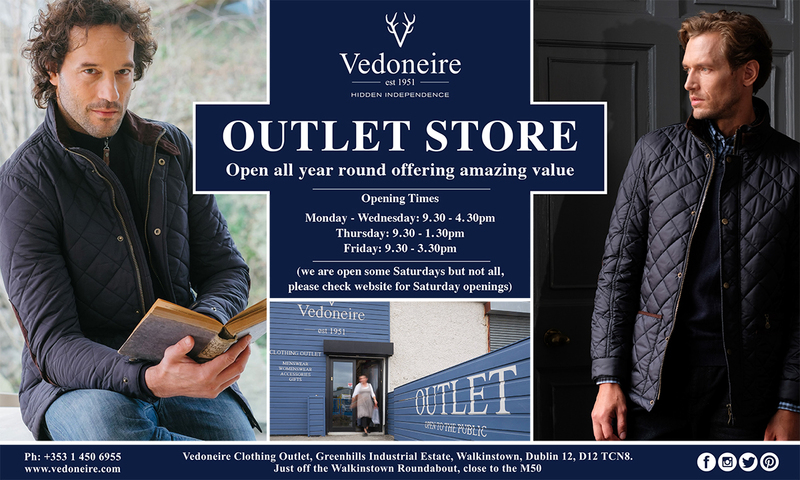 Offering exclusive discounts on thousands of items across the Vedoneire range, including Men's, Women's, Underwear, Accessories & Gifts. New styles & lines are added weekly. 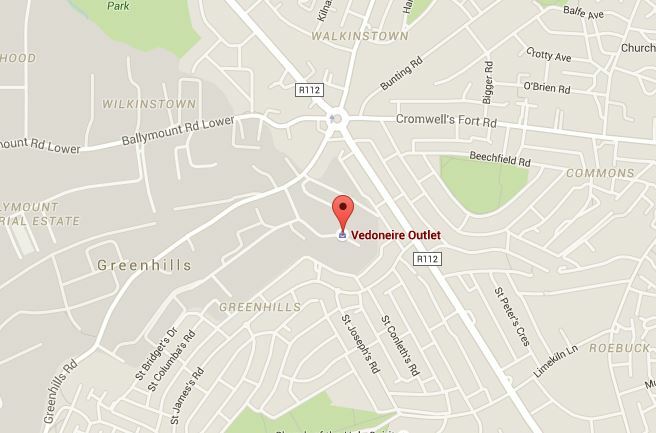 Located minutes from the M50 Ballymount exit the Vedoneire Outlet is a one stop location for all your clothing needs. Stay up to date with The Outlet page & via Facebook & Instagram for all the latest special offers.